Anhui Golden Monkey Fishery Science and Technology Co., Ltd. is one of the biggest production bases of fishing nets in China. 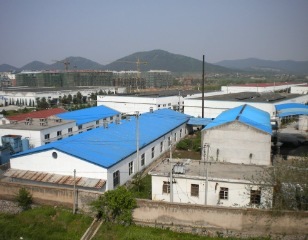 Our company has more than 1,600 employees, covers an area of 360,000 square meters and has assets of 160,000,000 RMB. Our company has 46 production lines of modern filature, 600 sets of production equipment for fishing nets, advanced fishing lines and net inspecting equipment. Now, our company has output of 6,000 metric tons of nylon monofilament and multifilament fishing nets one year. On May 15th, 2006, China Industry News published the 2006 Playing Soldiers Name List of Chinese Industrial Enterprises. It showed that in the rope, cable and net manufacturing industry, our company ranked first. We are looking forward to cooperating with customers worldwide. If you are interested in any of our products, please feel free to contact us.